What Should You Know When Buying A Home In District 7 ? 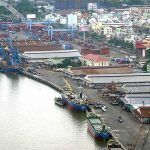 District 7 is a district of Ho Chi Minh City, a part of Nha Be District, it is known as Tan Thuan Export Processing Zone and Phu My Hung New Urban. There is also a lot of interesting information about District 7 that you should know. To the north, it borders on districts 4 and 2 , the border is Te canal and Sai Gon river. Southern borders Nha Be district to the south, disks canal, Phu Xuan river. The East is bordered by District 2 and Dong Nai Province, the boundary is Sai Gon River and Nha Be River. The West borders on District 8 and Binh Chanh District, the border is Ong Lon canal. 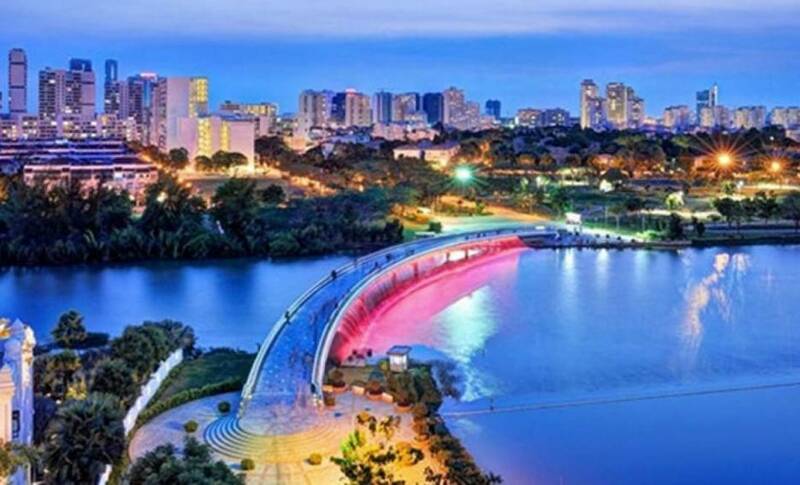 Crescent Park, Anh Sao Bridge. CityMart Supermarket (Ton Dat Tien). Lotte Mart (Nguyen Huu Tho). CoopMart Supermarket (Nguyen Van Linh). Big C supermarket (Nguyen Thi Thap). A series of convenience stores 24/24: Circle K, B’s mart, Family Mart, upcoming 7-eleven. 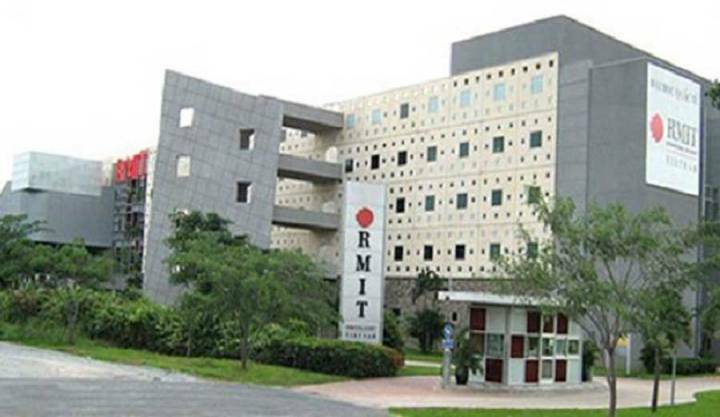 Saigon Technical & Technical College. College of Sales Technology and Business Administration. Phu My bridge connects districts 7 and 2. 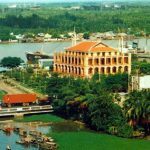 Move to the East easily through Long Thanh – Dau Giay highway or Vung Tau through Cat Lai ferry. Connect with District 4, District 1 through Kenh Te Bridge (Nguyen Huu Tho), Tan Thuan Bridge (Nguyen Tat Thanh). Connect with District 5 via Kenh Xang Bridge (Duong Ba Trac Street) and Nguyen Van Cu Bridge (Nguyen Van Cu Street). 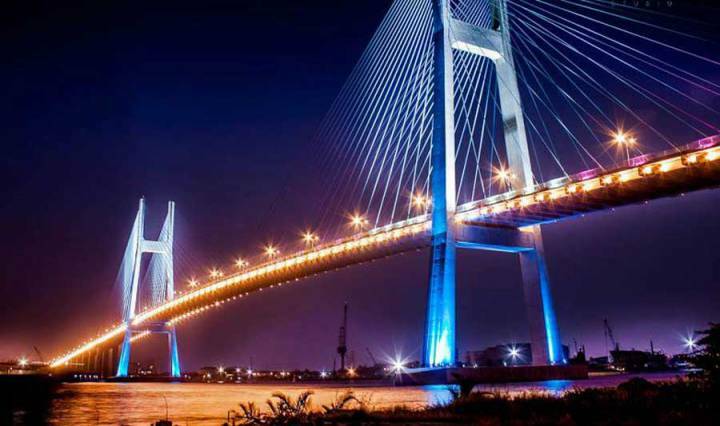 Connect with Nha Be District, Can Gio via Phu Xuan Bridge. It is easy to move to the western provinces via Nguyen Van Linh – National Highway 1A – Trung Luong expressway – Cho Dem. Huynh Tan Phat, Nguyen Thi Thap, Nguyen Van Linh, Nguyen Huu Tho and Nguyen Luong Bang are major roads linking the whole area and creating a motive force for the development of the South. Underpass project at the Nguyen Van Linh – Nguyen Huu Tho intersection over 2600 billion VND to solve local traffic jams at this intersection. Huynh Tan Phat road was planned, widening the road to 30m. Le Van Luong Street is 40m wide. The Metro 4 project connects District 7, Nha Be with urban districts more than VND 5,200 billion. Thu Thiem Bridge Project 3, linking from Ton Dan Street District 4 to District 2. Thu Thiem 4 bridge project is from District 7 (Bui Van Ba street) to Sala district 2, about 1.1 km downstream of Thu Thiem bridge. Long Kieng Bridge project from Ton Dan Street to Le Van Luong Street in District 7. Nguyen Khoai bridge project connecting Nguyen Khoai district 4 with D1 street in Him Lam residential area District 7. The upgrading and expansion of Dao Tri road to 40m (connecting super projects in the area such as Pennisula Red River Park, RiverCity, Jamona City). 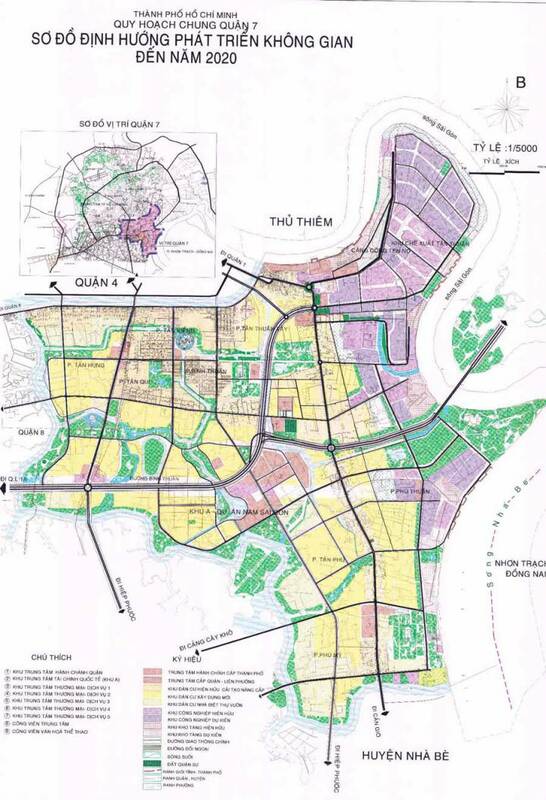 The project connects Dao Tri road to Phu My Hung urban area via Hoang Quoc Viet Street, Go O Mo Street and Phu Thuan Road. The project of upgrading and widening Nguyen Tat Thanh road to relieve traffic pressure from Q7 to Q1. 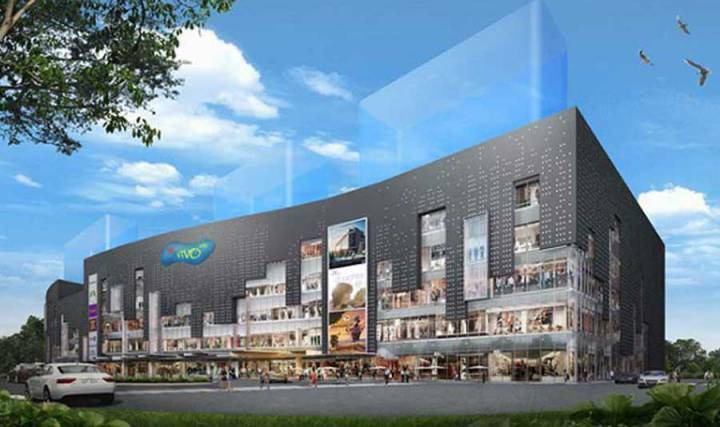 The North-South axis project connects HCM city center with District 4, District 7 and Nha Be district. The project against flooding, tides strength worth 10,000 billion. Long Thanh – Ben Luc Expressway Project. 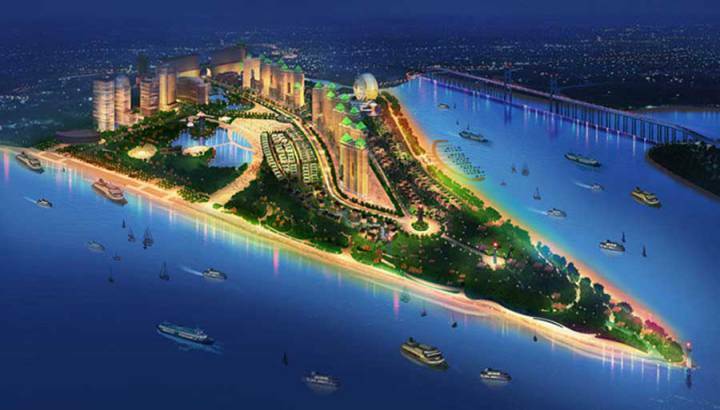 Super Pennisula Red Lantern Park project invested by Van Thinh Phat Group, valued at $ 6 billion. 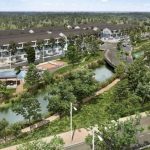 The River City project was acquired by Van Thinh Phat Group from Phat Dat – An Gia – Creed Group, merged into the high-end resort of Pennisula Red Cross Park. The Jamona City apartment complex of Sacomreal. Grand Nest City Revelation Apartments. There are also a number of other projects in the central Phu My Hung area, especially along the extended Nguyen Huu Tho Road such as The Park Residence, Park Vista, Dragon Hill 2 … More The apartments are for sale and for rent in District 7. Price of Phu My Hung area is quite expensive. Frequently flooded by tides. The heaviest flood is in Huynh Tan Phat area, especially when it rains. It is difficult to move back to District 1 due to traffic jams stretching from Nguyen Van Linh – Nguyen Huu Tho intersection to Kenh Te Bridge, the future is expected to worsen as many residents start pouring on Sunrise City and other projects. balcony. The Nguyen Tat Thanh road was jammed quite severely during peak hours. Area Nguyen Thi Thap – Tan My market also encountered traffic jams at night time.